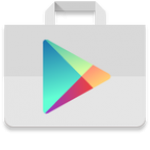 This article is part of our Play Store Downloads series. You know that spiffy hamburger icon animation in the Play Store? Wave goodbye—the new version of the Play Store is hitting devices and it switches to the full height drawer. There's less divisive stuff going on too, like shadows. Who doesn't like shadows? The My Account page looks very handy. It has a list of all your purchases and makes it easy to change payment methods. Say what you will about the navigation drawer covering up the animation, at least Google is moving toward a consistent style. Version: 5.1.11 (80310011) (Android 2.3+).